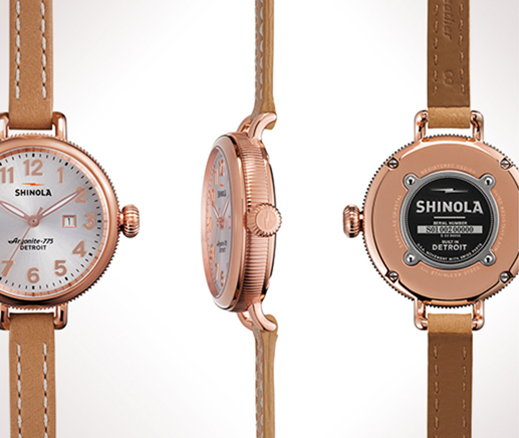 Shinola's first watch was released in March 2013. Produced in an edition of 2,500 and available in two sizes, The Runwell Limited Edition 47mm sold out in one week, with the last 40mm watch selling out in under two weeks. The watches sold for $550, and approximately 35% of the sales came from Michigan. 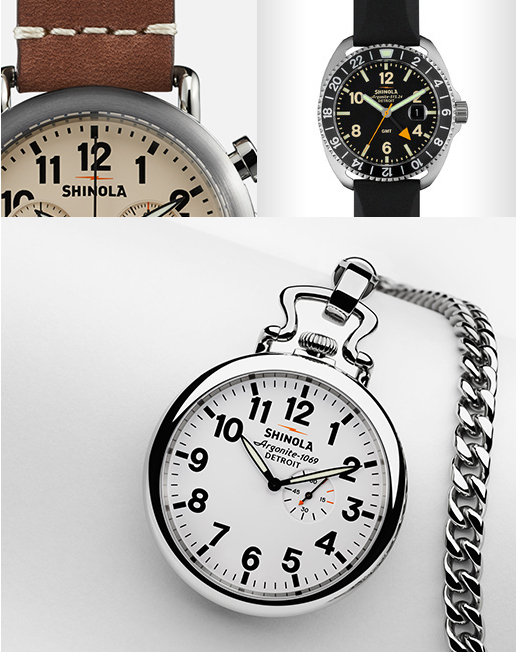 In 2014, Shinola released The Black Blizzard titanium wristwatch in 48mm and 42mm as well as the next Signature Series limited editions watch, The Henry Ford Pocket Watch. The company also produces a number of different watch styles on a non-limited edition basis, including The Birdy, The Gomelsky, The Runwell Chronograph, The Runwell Sport, The Runwell Sport Chrono and The Brakeman.